A master gardener I know tells me one should be surprised around every bend of a garden walkway. 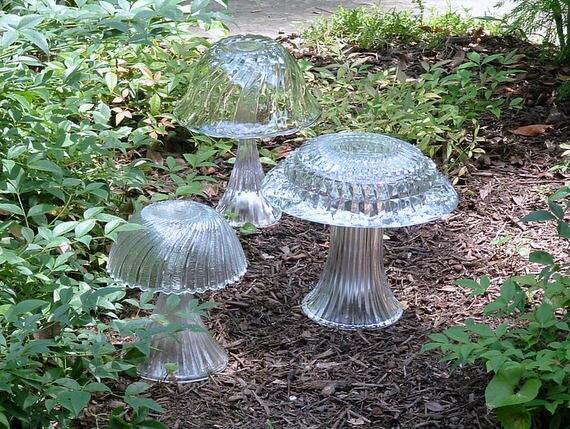 She probably meant surprised by the plants, but what an unexpected surprise to come upon this trio of glass mushrooms. Fun in an herb garden. Whimsical greeting at your entry way to welcome your guests. All that is missing is the gnome. SOLD - Thank you!